Face Rock Creamery is a relatively new creamery, founded in 2013, located in beautiful Bandon on the Southern Oregon Coast. Face Rock specializes in Cheddar cheeses made without unnecessary or artificial ingredients. We currently carry their Limited Clothbound Cheddar which we have been very excited about. The fresh curds are wrapped in a cloth bandage then dipped in butter(!) and aged in caves for two years. This careful process yields a rich, sharp, nutty, and complex cheddar. You won’t be disappointed! Cascadia Creamery is located in Trout Lake, Washington near Mt. Adams. They specialize in raw, organic, artisan cheese made with great care and attention to detail. We regularly carry their Cloud Cap and Glacier Blue; as well as the Sawtooth and Sleeping Beauty when available. Their newest cheese is Celilo. 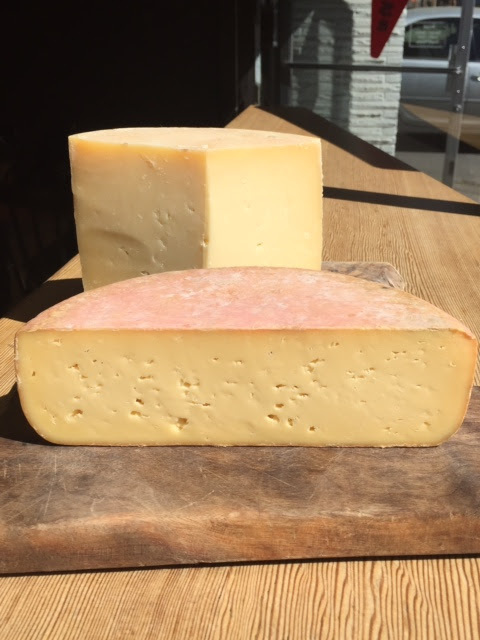 Celilo is a washed rind, raw cow’s milk cheese aged between 60-75 days. It is semi-soft in texture with a light yellow paste with tiny holes throughout. It is tangy, salty, buttery and oh, so delicious. Please come by the shop and have a taste! 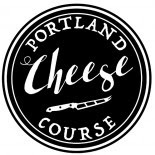 Interested in learning more about Alpine cheeses, Italian cheeses, or interested in learning more about wine and cheese pairings? Cheesemongers Sarah Mooney and Madilyn Dillen will be guiding small, intimate classes at Cheese Bar the first Monday of each month. You can can find more information and sign up for classes on-line here. Burrata is Back in Stock! 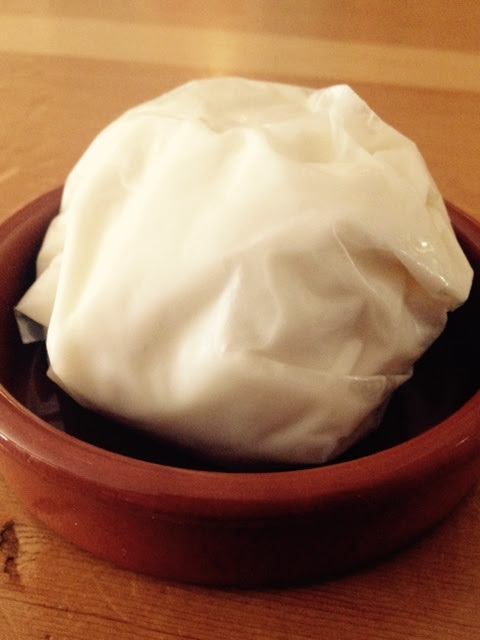 Burrata season has arrived! We will continue to have Burrata in stock until Fall, with new shipments arriving on Friday afternoons. Hurry though, they sellout very fast! Franchere winemaker Mike Hinds makes fresh, transparent, affordable, and ageable wines in the central Willamette Valley, and he is happy to be pouring three of his new 2014s at Cheese Bar: an aromatic and textural Grüner Veltliner, an elegant and structured Pinot Noir from the Eola-Amity Hills, and a savory, beautiful Syrah (yes, Syrah from the Willamette Valley!). He will also be pouring a totally dry Pinot Noir Rosé from the 2015 vintage. Despite the heat of the two vintages, all four wines clock in at under 13% alcohol. Mike wants the vineyard, the vintage, and the grape to express themselves with little interference. The minimal intervention philosophy begins in the vineyard – fruit is sourced from unirrigated, sustainably farmed vineyards – and Mike farmed his Zena Springs Pinot Noir without herbicides or systemic fungicides. He uses no new oak, adds no enzymes or tannins or colorants, and takes a light hand with the sulfur additions. All fermentations are conducted exclusively with native yeasts. Mike worked at Illahe Vineyards as a harvest intern and cellar rat. 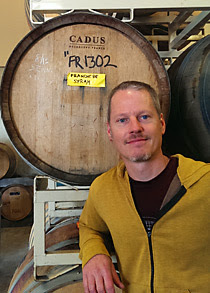 He also took winemaking and viticulture classes at Chemeketa, and then he launched Franchere with the 2013 vintage. Production is currently just 600 cases per year. Mike named the Franchere label after his great-great-great grandfather, Gabriel Franchere. Gabriel, a native of Montreal and a clerk in John Jacob Astor’s fur empire, voyaged to Oregon in 1811 on the ill-fated ship Tonquin and helped establish the original Fort Astoria. Mike’s grandfather Hoyt, a professor at Portland State, translated Gabriel’s memoir in the 1960s and assembled a definitive account of his “Adventure at Astoria, 1810-1814.” The illustration of the Tonquin that appears on the dust jacket is replicated on the wine label. As usual the tasting is complimentary and the wines are discounted tomorrow night only. See you there!